Every company will tell you that they have "experienced technicians." But the fact is that there is a shortage of qualified plumbers and LOTS of turn-over. This makes for inconsistent, and in some cases, seriously neglected training. The typical Massachusetts plumber does little more than the minimum six hours of continuing education required annually to maintain his license. Tim McElroy is determined to go to great lengths to field a team you can rely on. It takes a lot of screening to find the right candidates to become a Cape Cod Master Plumber or a Cape Cod Sewer and Drain technician. Quite frankly, plenty in our profession have pretty rough edges. In fact, the Massachusetts Department of Corrections even offers prisoners vocational training in plumbing. Have been thoroughly back-ground checked and bonded. Be subject to random screening for drug use. Be groomed, uniformed, well-mannered and respectful. Present you with a photo ID. Use shoe covers, mats and clean drop-cloths to protect your floors and furnishings. Have signed our strict Professional Code of Conduct. Have signed our No-Pressure Sales Pledge. Continue to participate in our program of a minimum 100 continuing education training hours per year (plumbers). Be fully-trained and supervised by Tim or one of our other master plumbers (drain technician). "Respect for the Customer: I pledge to respect the client's property. This includes lawns, gardens and driveways. I pledge to be respectful and courteous to the home or business owner, to family members and employees as well as to their neighbors. I pledge to answer all questions to the best of my ability. I further pledge to use no profanity while on the job. At the conclusion of the job, I pledge to test functions, to conduct all appropriate safety checks and to review with the customer all work that was done. Respect for the Home or Business: I pledge to wear shoe covers and to use drop cloths or other protective mats when working in the client's building. I pledge to carefully remove valuables from traffic areas and to ensure a five foot safety space to my work areas free of children and pets. At the conclusion of my work, I pledge to leave the building and yard free from all debris and packaging materials, to return valuables to their original locations, and to wipe and sweep the are clean. Drugs & Alcohol: I pledge that at no time will I smoke, inject or ingest any substance which may alter my behavior while working. 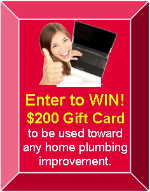 I agree to submit to random drug testing as required by Cape Cod Master Plumbers, Inc. Smoking: I pledge that if I smoke, I will always do so outdoors. I further agree that at no time is disposal of smoking materials on the client's property acceptable. Radio/Music: I pledge that at no time will I play loud music while on the client's property. I further agree to turn off audio devices if requested to do so by the client or by my manager. No Borrowing: I pledge not to use the client's property including tools, ladders, and vacuums without expressed permission. Toilets: I pledge only to use the toilet with the permission of the client. I further pledge to leave it as clean as I found it. Privacy: I am fully aware of the tremendous responsibility that comes with being invited into the client's home or workplace to perform my craft. I therefore pledge total discretion regarding the clients, their lifestyles, their personal and private possessions, and any conversations I may overhear." Tim takes these rules seriously and asks you to bring ANY breach to his personal attention by calling him by calling or by using this website's contact form.